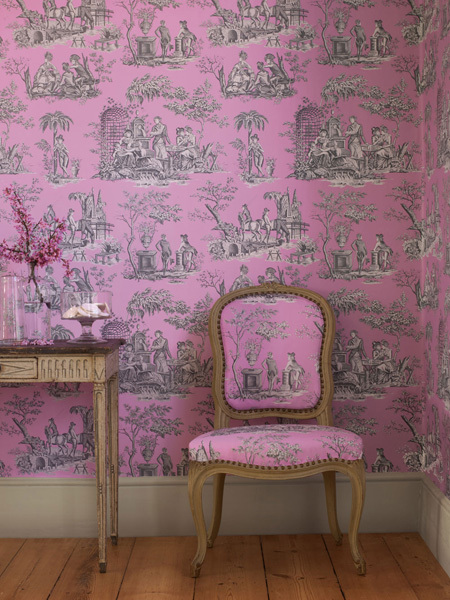 ‘Harlem Toile De Jouy’ Wallpaper from Sheila Bridges home. Somehow a Domino Magazine article from 2007 is still relevant, and even, forward thinking! The minimal, Scandinavian cuckoo clock is also wonderful. 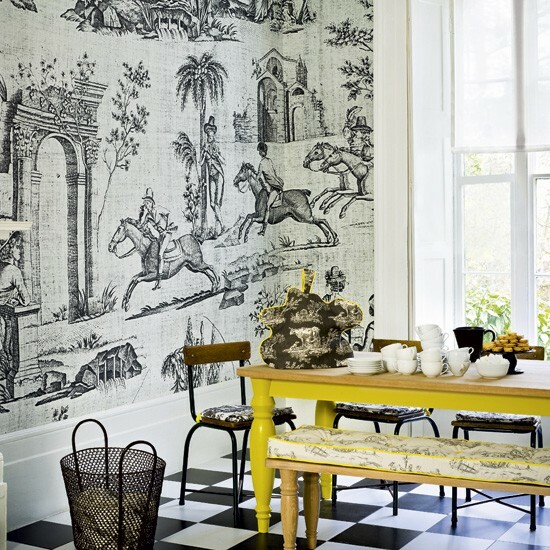 Featuring a canary yellow wallpaper backsplash found here. 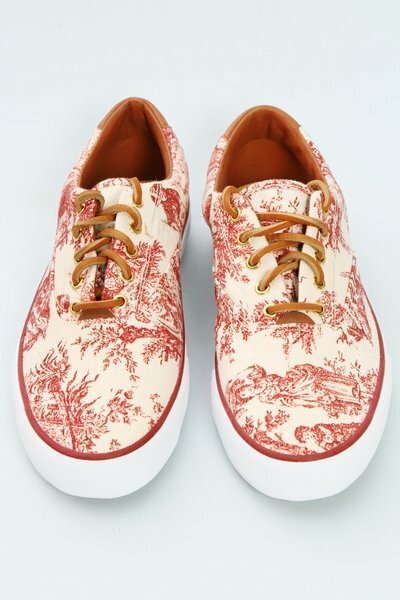 If you can’t commit to toile drapes or upholstery, might I suggest leaving these cute sneakers in your doorway? Product via Keds for Opening Ceremony. 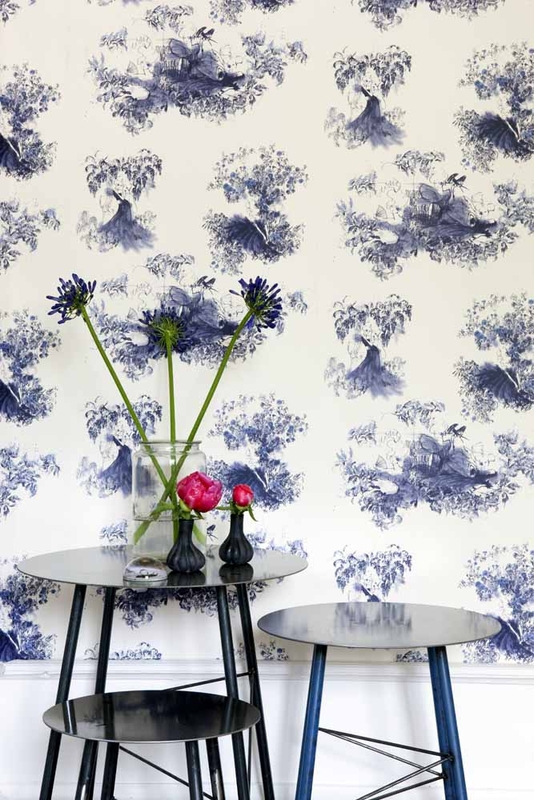 Toile meets watercolor and hints of gestural drawing techniques via the Swedish-based design company, Mimou. 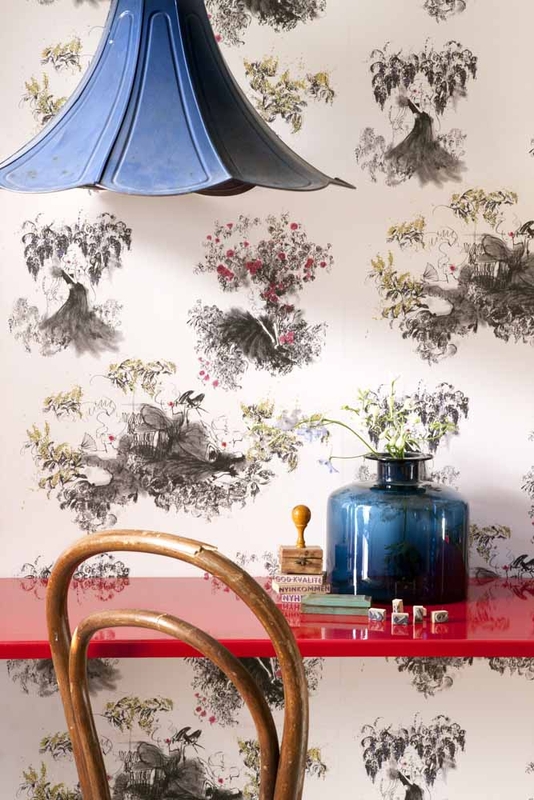 A sophisticated Purchase, New York home rei-magines a 1950’s diner palette via the Mendelson Group. 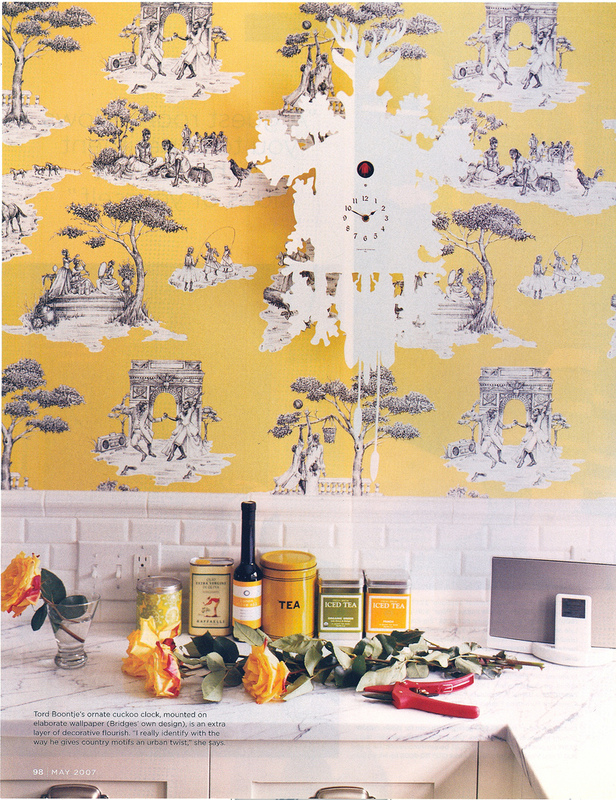 The Beastie Boy’s Mike D helped to design this Brooklyn Toile Wallpaper, along with Matt Manson. 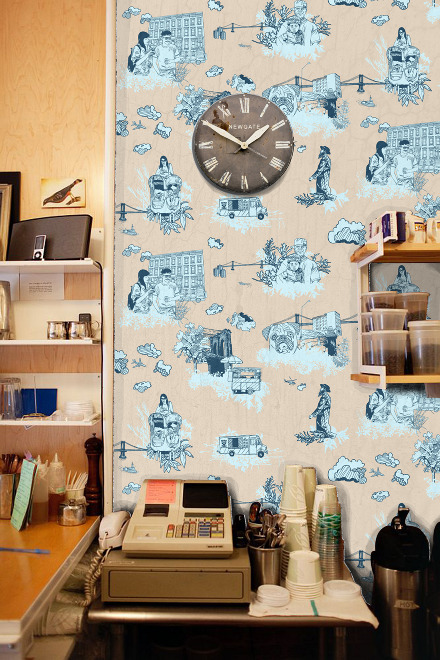 The vision was to pay tribute to all things Brooklyn in a way that would appear to be a traditional French Country Toile, but when you step to it the pattern reveals elements and vignettes that make up the truth about Brooklyn (such featured design elements include the Notorious B.I.G, Hasidic Jews, and the Brooklyn Bridge). 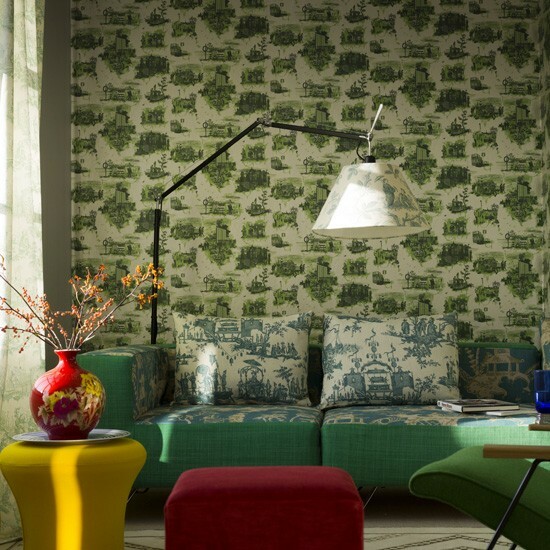 A bumblebee color palette is uber contemporary when matched with a super graphic toile scene. 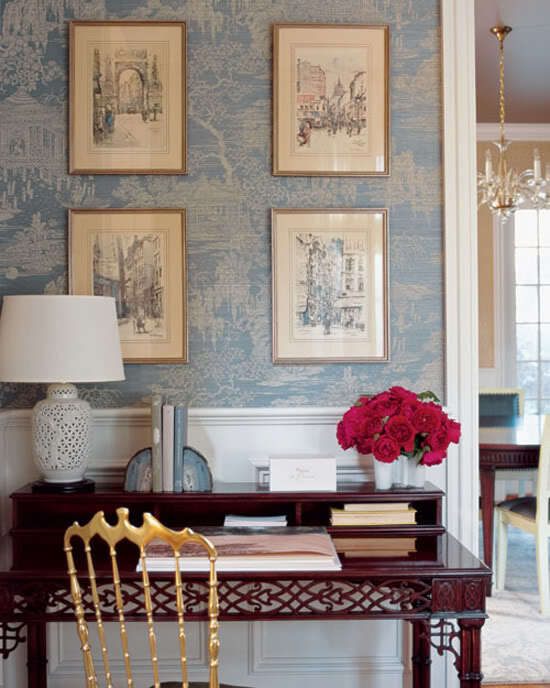 This dining room is full of classic, no-fuss style. 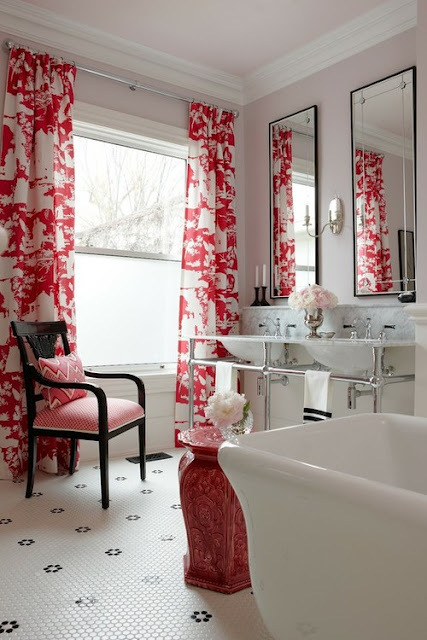 Image via House to Home. 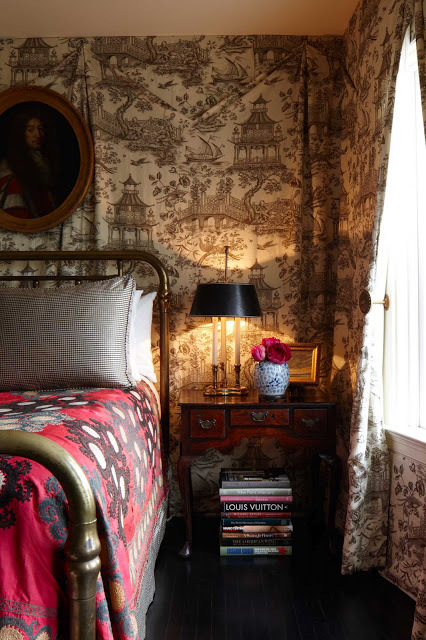 A dark, intimate bedroom mimics the gentility and noblesse of Versailles. 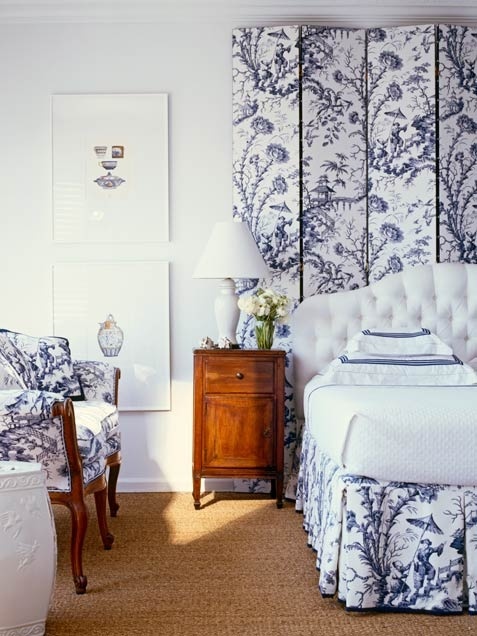 Stacked coffee table books featuring one on Louis Vuitton hammer home this interior’s obsession with “haut monde” French. 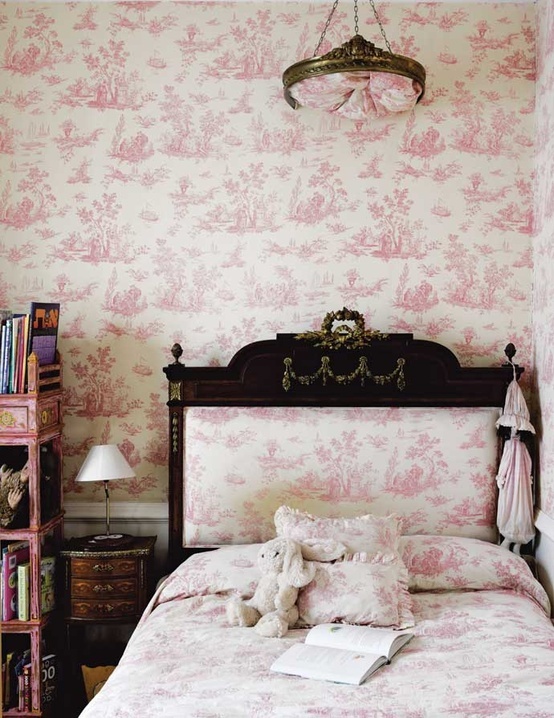 Image via SF Magazine. P.S. Also unrelated but, guess what? I don’t know how, but suddenly I’ve become an organization guru, featured on Home Made Simple! This runs contrary to everything most people know about me…click through for the article which I am very excited to share – HERE.